Here is a list of fun speech and language activities you can do with your toddler this summer. I've also listed the skills that each activity targets. Of course there are many other things you can do to help keep your toddler entertained this summer, and most can target your toddler's speech and language skills. Let me know if you've come up with any activities for your toddler by leaving a comment in the box below. Have fun and be creative! I recently wrote a blog post called, Help! My Toddler is Not Talking. In that post I explained what you should do if you suspect your toddler may have a speech or language delay. You can contact your toddler’s pediatrician, research speech therapists in your area, or ask about early intervention services. The next step to determine if your toddler has a speech or language delay is to have an evaluation completed. If your child is between ages 0-3 this can be done by early intervention services. These programs are federal programs under Part C of the Individuals with Disabilities Education Act (IDEA), and evaluations are free. Plus, you don’t need a referral from your pediatrician to get services. You can find out more information about your state’s program on this website http://nichcy.org/babies/services. First you will be given paperwork to complete. This can range in topics from health and developmental information, a release of information form, and a permission to assess form. You may also be asked to fill out insurance and financial information if you choose to have insurance pay for all or part of your toddler’s services. Next, your toddler may be screened for speech-language, fine and gross motor, and social emotional development during a meeting with the early intervention staff. This usually includes a questionnaire type screening and will help determine if a formal assessment/evaluation is needed. If a formal assessment is needed it is usually conducted at your toddler’s childcare facility or in your home. Most early intervention programs like to provide services in a child’s natural environment. The evaluation will start with a parent interview. The SLP will ask you many questions regarding your toddler’s speech and language development and when he or she met certain milestones. The SLP should also ask what your concerns are about your child’s communication as a parent or caregiver. If the evaluation is conducted in your toddler’s childcare facility, the SLP should interview your child’s teachers and caregivers to get more information about how he or she communicates in that setting. Also, other professionals who work with your toddler can be interviewed upon parental permission. Next, the SLP may want to see how your toddler interacts with other children at home (such as siblings) and/or children at his/her childcare setting. This will help the SLP to gather even more information about your toddler’s current speech and language skills. The SLP will then begin the evaluation process. She may start by building rapport with your toddler. She usually does this by playing and talking with your child. By establishing rapport, your toddler will usually cooperate and feel more comfortable with the SLP during the evaluation. Next, the standardized testing procedures begin. Standardized tests compare your child’s speech and language skills to other children his age. One particular test we used when I contracted with Georgia’s early intervention program was the Preschool Language Scale-5 (PLS-5). Here is a description from Pearson Education, Inc. The PLS-5 offers a comprehensive developmental language assessment, with items that range from pre-verbal, interaction-based skills to emerging language to early literacy! This interactive, play-based assessment provides you with comprehensive, reliable, and trusted information about language skills for children birth through age 7. After the standardized test, the SLP will formally or informally observe and evaluate your toddlers articulation (how he/she makes sounds), voice (if his/her voice is healthy, hoarse, nasal, etc. ), fluency (how fluent his/her speech sounds), and oral motor structures (if his/her lips, tongue, jaw and other oral motor structures appear to be intact and functioning properly for speech production). The SLP will compile her results and write a formal evaluation report to determine if your toddler qualifies for services from your state’s early intervention program. The evaluation is given to the early intervention staff, and they will call the parent/caregiver to meet in person to discuss the results. If speech therapy is recommended, they will write an Individualized Family Service Plan (IFSP) which will lay out goals for your child to reach. Of course, parental input is needed to determine what goals are appropriate for your child. You are an important part of your toddler's IFSP. Next, speech therapy will begin. Please keep in mind that speech therapy won’t start immediately. Services will start based on the legal timelines set for each state. This is just an overview of what the assessment process will look like. Please note that each state has different assessment standards and timelines. Not all assessments will be alike. Now that you know how the early intervention program assessment/evaluation process works, we will talk about speech therapy and what your toddler's sessions will look like next. Stay tuned! One of my most favorite speech activities for toddlers is sensory play. It is a relatively new term in the world of child development. As children, my generation (I'm in my mid 30's) often played outside for hours on a regular basis. I can remember playing in the neighborhood with my sister all day long and hearing my mom yell for us to tell us it was time to come home. Unfortunately those days are few and far between. Our children's generation doesn't get that opportunity like we did. Thanks to television, technology, video games, and even crime and violence rates, children don't play outside like they should. So, we've got to come up with other ways to bring those sensory experiences to them. But, what is sensory play? It allows a toddler to use one or more of the five senses (touch, smell, taste, sight and hearing) to learn more about his or her environment. By stimulating the senses you are helping your toddler improve language and basic motor skills. It also helps toddlers develop cognitively, linguistically, socially and emotionally, physically and creatively. Some parents may refer to sensory play as messy play, but you can make it as messy or less messy as you would like! Here is a list of several sensory activities for babies and toddlers. Don't forget that you can use these activities to build toddler speech and language skills! To learn more speech and language tips to help your toddler talk and communicate faster, be sure to check out my book on Amazon Kindle, Talking With Toddlers - 52 Tips to Boost Speech and Language Skills. As many of you know I have 15 month old identical twin girls. They are starting to say a few words and babble all the time. They are such a joy and each stage is more fun than the last. Although, I do confess that I would love for them to be toddlers as long as possible! My twin girls are constantly communicating with my husband and me, but it's not necessarily through words. They reach, point, fuss, and gesture their way through the day. Keep in mind that communication is not just words and talking! Pointing-your toddler may point to something he/she wants you to see and look at. He/she may also point to wanted items such as a cup of juice or a ball. Gesturing-your toddler may gesture for you to follow him/her or gesture to something he/she wants. He/she may gesture by showing you something he/she is holding like a toy or book. Fussing-this is not my favorite, but it's a toddler's way of getting his/her point across to you! Reaching-a toddler may reach for you to pick him/her up or reach toward something he/she wants to play with. Just last night, my husband and I were playing with our girls before bed. They love to sing a song my mother taught us called "Trot, Trot to Boston." We bounce them up and down and gently push them back at the end of the song. They love the bouncing and pushing back part. To let us know that they wanted to sing the song again, they climbed on us and started bouncing up and down. That was their way of saying, "Hey, I want to do that again. It's so much fun!" My twin girls also love to play peek-a-boo. They grab a blanket, look at us, and put it over the heads. They are telling us that they want their daddy and me to pull the blanket off of them and say "boo!" Start paying attention to your toddler's communication cues. Your child is really trying to communicate with you to the best of his or her ability. Of course the end goal should be to use words, but it may take your toddler some time until he or she is able to verbally express wants and needs. Continue to talk as much as you can to your toddler and model the words that he or she may be trying to say. Make sure you reinforce good speech and language during the activities. Use correct grammar and sentence structure. Clearly pronounce your words and sentences when communicating with your toddler. If your toddler says a word incorrectly or uses improper sentence structure just go back and correctly say what he or she said. Talk about what your toddler is doing as he or she is completing the craft. This is called parallel talk. Talk about and describe everything your toddler is doing as he or she is doing it. This will help build both receptive and expressive language skills. Acknowledge what your toddler says to you. Let your child know that what he or she says is important even if you cannot understand it. Your toddler will want to talk and communicate with you because you value what he or she has to say to you. Make sure to give your toddler lots of praise when he or she makes attempts at communicating. Once you give your toddler praise you’ll notice that he or she will continue to try to communicate with you which will get your toddler talking and communicating even faster! Did you know that the month of May has been designated as Better Hearing and Speech Month? According to the American Speech-Language Hearing Association (ASHA), this annual event provides opportunities to raise awareness about communication disorders and to promote treatment that can improve the quality of life for those who experience problems with speaking, understanding, or hearing. Speech-language pathologists and audiologists use this time to broaden their profession by attending conferences and continuing education events. They also educate their clients, patients, students, and their community about the fields of audiology and speech-language pathology. If you are a teacher, daycare provider, or someone who values communication, please share this information with your students, parents, and as many people as possible. So, where can you get more information and materials promoting Better Hearing and Speech Month? 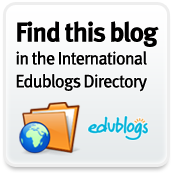 Try these free and fun informative resources! The American Speech-Language Hearing Association offers kids activities, stickers, coloring pages, certificates, door hangers, and contests. This website offers Better Hearing and Speech Month activities for teachers and parents. Be sure to like the Talking With Toddlers Facebook Page. We will be posting free giveaways throughout the month in honor of Better Hearing and Speech Month. You don't want to miss out!